My website xahlee.org is reported to have some $44 ad revenue per day. That's $1.3k per month, or 16k a year. A reasonable income. So, in the past few days i started looking into the online advertising business, in hope to generate income to pay rent. Here's some random learning notes about going into the ad publishing business. Here's some of services for publishers (for example, bloggers, website owners) who wish to make money thru ads. Some i've applied, some i'm using now, most i haven't tried. Here's more that i've found. Though, be careful of scams. I have not verified these. Also, these agencies come and go. Google's AdWords is for advertisers. AdSense is for ad publishers. So, if you want to advertise, you can use the AdWords service. You pay. If you run a website, you can use AdSense to let others put ads on your site. You get paid. A affiliate program is is a relation between you and a company, where both benefits. In essence, you two are affiliates, associates, a type of partnership. You earn money by advertising products or services for that particular company. Have the publisher sale items for them and give the publisher a percentage for each sale. You as a blog writer, is a publisher. You can for example put links on your page to Amazon's products. So, when readers read your blog and ends up buying stuff on Amazon, Amazon makes money, and you earn a percentage of the sale (called commission). The connection between you, and the company Amazon, is called a affiliate program. Here's another example. There are web hosting companies who sell the services of web hosting. If you write web development articles, your reader are probably interested in web host too. So, you can apply for a affiliate program with your web hosting company, so that you can put links to them on your site. When the web hosting company gets a new customer thru your link, you make money. What's the Difference Between Ads and Affiliate? Selling advertising space, and being a Affiliate to sell something on a website, are similar. Which to use depends. When selling advertising space, you usually don't have any connection with the company. When being in a affiliate program, you are like a salesman for that company. 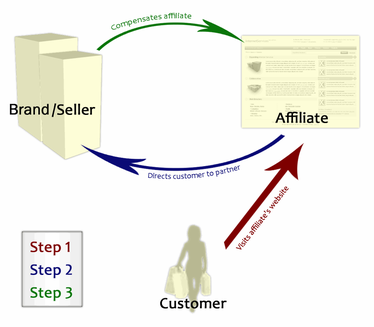 Amazon.com is the most well known example of having a affiliate program. The most simple and common is Cost Per Impression, usually as a dollar amount given in unit of Cost per mille (mille is latin for Thousand). It means, how much the advertiser pay to place a ad on your page is dependent on how many times your page is viewed. Usually, the pricing is quoted by dollar per 1k page impression. For example, “$5 per 1000 impression” means, for each 1000 times your page is viewed, they pay you $5. If a page that has page view of 1k per month, then they pay you $5 per month. If that page has 1k views per day, then they pay $5 per day. Note, there are some confusions on the web about CPI (cost per impression) vs CPM (cost per mille). The basic idea is that, the ad pricing is simply based on how many time the ad is shown. If you go by cost per “impression”, the amount is a fraction of a cent, and hard to read. So, they usually multiply it by one thousand, and have Cost Per “Mille”. So, if you get $5 per 1k page view, then the CPM is $5, but CPI is $0.005. The use of the latin word “Mille” for Thousand is unfortunate, because it might be misunderstood as million. 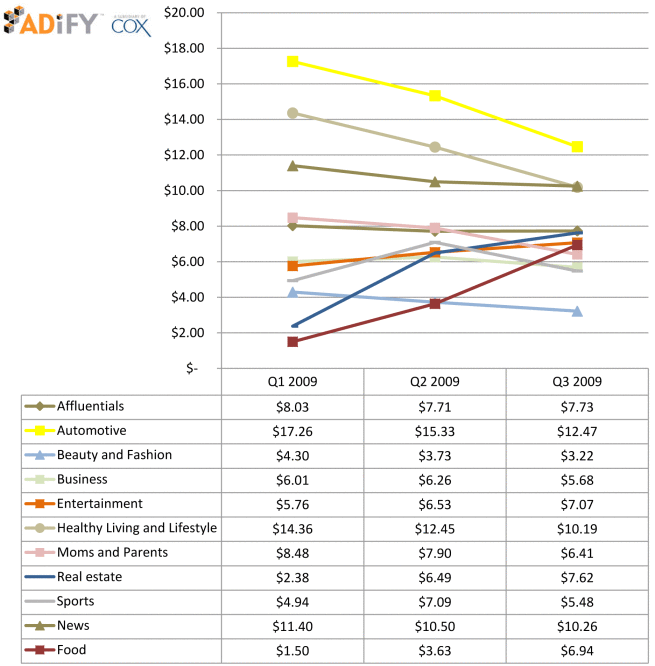 Also, on the web, some quotes about CPM is really CPI, and CPI is really CPM. Pretty bad. One easy way to tell is that, if the amount is something like USD $0.0005, then it's really CPI. If it's 50 cents, or 1 dollar, or 5 dollars, it's CPM. Multiply CPI figure by 1000 to get CPM. The word “hit” as in “hit counter” was popular in the late 1990s, due to primitive web tech of the time. At those times, Web server has simple web logs, that can tell you how many times each file is accessed. The “File” here includes all images as files. It is simple, and common, back then, to sum all the access count for all files in a site. So, they might say, site example.com has one million hits. Also, a html file may be refreshed many times, or accessed by bots. So, that bloats up the dumb hit count. Today, a more proper count is Page View. When you mean Page View, don't say “hit”. There are quite a few other schemes ad pricing. One common model is Cost Per Click, meaning, the advertiser pays you depending on how many times viewer actually clicked the ad. The technology for calculating these alternative model's count gets complicated. Note there's Click fraud. Click fraud is hard to battle unless you have sophisticated tracking tech. This means, if you are running ads thru big companies such as Google AdSense/AdWords, or running your site on WordPress or Google Blogger, etc, then you don't have to worry about it because these big companies have the tech there. But if you are small site running on a web hosting, it's hard for you to work with Cost per Click model because that's hard to track without elaborate tech. A interesting tidbit is the Click Through Rate. It is the frequency a ad is being clicked. The figure today is roughly 0.2% to 0.3%. Meaning, 2 or 3 clicks per thousand times the ad is shown. howstuffworks says that a typical side banner CTR is 1%. Of course, click thru rate depends on quite a few things and can vary a lot. Size and position of banner ads matters. Flash ads, floating ads, or other more novel and intrusive ads also tend to get higher click thru rate. Relevance of the ad to the page's content is also important. There is a term called eCPM, which is abbreviation for Effective CPM. When the advertising cost scheme requires complicated technology, such as Cost Per Click, usually advertisers likes to know how that rate translates to CPM (cost per thousand page view). So, that is what eCPM is. For example, Google's AdWords uses Cost Per Click to charge advertisers. If you are a advertiser, you would like to know, how that rate translates to CPM. You like to know that because CPM is simple, and lots other publisher sites uses that. So, knowing CPM, you can compare how much Google is charging you. Here's a graph of CPM rate in 2009. Though, i'm not sure how reliable this graph is. Why Rates Are So Different? Note that it varies a lot. Different advertising markets have different rates. For example, the rate for real estate ad prices would be high, while for food is low. Also, CPM varies a lot within a market too, because the effectiveness of a ad depends on the placement, and whether it is text link or banner ad or more fancy and intrusive Flash ad or floating ad or pop up ad. Also, the relation of a ad and the site content matters too. If a site's audience is college professors, then ad for computer games there will not be very effective. If you place a college teacher jobs board ad in a gaming site, likewise it'd be useless. So, contextual ads tends to have higher price tag. Another reason for the big difference of CPM is the market. If there are far more advertisers and little publishers, that'd drive the ad rate high. Likewise, if there's too many publishers, and much fewer advertisers, the ad prices would be low. The big ad service sites such as Google's AdWords, all based their rates on some automatically computed bid system. I don't think here's a magic formula for your site on how much to charge. It depends on lots of factors, but also, depends a lot on negotiation between you and the advertiser. Put it differently, part of it depends on your sales skill. Negotiation is big part of any business. Again, i'm not sure how reliable the info in the above links are. The daily ad revenue for my site is reported by various site worth reporting sites. The figure reported by them vary quite a bit. Some says $16, some say $30, some say $45. My site has 671k page views last month. (see: XahLee.org Web Traffic Report) Looking back on stat in the past month and year, my site roughly get anywhere from 400k to 1700k page views. Let's assume 500k page view per month. Then, charging $5 per 1k page view gets $5k per month. That seems too optimistic. Let's say $1 per 1k page view, say each page has 2 ads. Then that's $1k per month income, or ~$33 per day. That seems realistic. The banner size seems to have gravitated into some standard set of sizes. For detail, see: File:Standard web banner ad sizes.svg. If you are completely new to this area, you might want to first check out Darren Rowse's page: www.problogger.net. Darren was a random joe blog writer, but over the years he's now making more than $100k a year thru his blogs by advertising. One of his primary blog, the problogger.net, is dedicated to the subject of making money from blogs. I learned tremendously from his writings. So, to learn stuff about marketing of sites, you need to be careful where you read. Many search results on online advertising are also old, written in years near 2000.